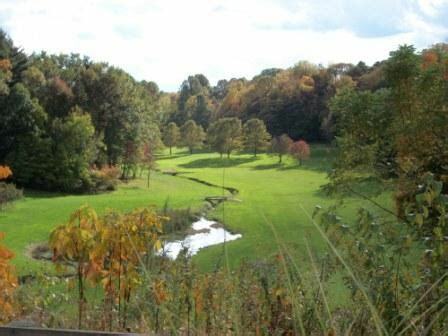 Durand Eastman Golf Course, with 18 holes available to the public, is located within Durand Eastman Park, at 1200 Kings Highway North Rochester, New York 14617. The land is steeped in history. It was the special province of the Senecas who were called Keepers of the Western Door. To the east of the lands of the Senecas was the land of the Cayugas, the Onondagas, the Oneidas, and finally the Mohawks. Each occupied a different part of the state. These five tribes or nations formed the League of the Iroquois about 1450 or 1460. In the day of the Indian, water was a prime means of moving by canoe. Lake Ontario, especially along its shore, was an important way of moving furs and supplies to and from such places as Quebec, Oswego, and Fort Niagara. The French, the British, the Mohawks, the Senecas, and many others if they haven’t plodded over or near what is now the course have gazed upon it from the lake’s edge. In 1788, Oliver Phelps and Nathaniel Gorham purchased some 2,600,000 acres of land from the Iroquois. There were two parts; a small parcel 12 miles wide on the west side of the Genesee River; and extending 24 miles up the river. The City of Rochester started in this parcel of land. The second part extended east from the Genesee River to about Seneca Lake and from Lake Ontario to the Pennsylvania border. In 1907, Dr. Henry S. Durand, who lived in a concrete block house (since demolished) on what is now Zoo Road and George Eastman, offered to give the city “to be used as a public park forever, a tract of land of about 484 acres situate in the town of Irondequoit on Lake Ontario. ” This was the beginning of Durand Eastman Park. Records published in 1929 indicate there was a nine-hole course in Durand Eastman Park in 1917. It was the third public golf course in the city of Rochester. 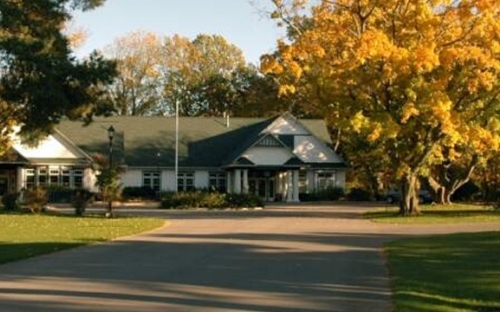 The city was one of the first four in the United States to provide public golf facilities having established its first course of nine holes at Genesee Valley Park In l899. The original clubhouse at Durand was an old barn. Most of it was storage area for maintenance equipment, but a small room in it served as a Pro Shop.It was located 25-30’ toward the lakeside of the practice green,(not the putting green), near the present clubhouse. Indentations in the ground, still today, help to define the location of the original foundation. According to an article in the Times Union of May 21, 1940, “a modern clubhouse was erected in 1931, but was completely destroyed by fire in November of that year”. Construction of the next clubhouse was started the same year and completed in 1932. Interested in joining the Durand Men or Ladies club? Please click the link below to be directed to the club website. The golf course is now open for the 2019 Season!